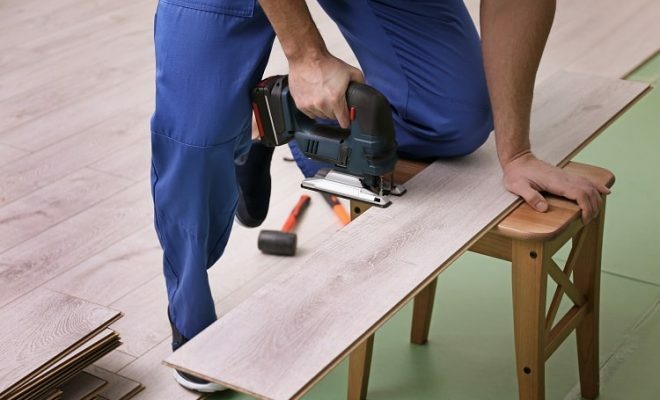 A jigsaw is one of the most common tools in the arsenal of both a home master and finishing specialist. 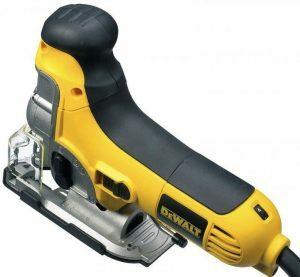 The reason is wide versatility of this power tool. 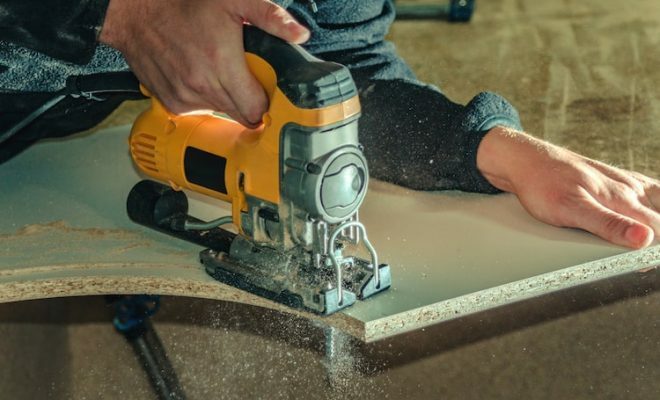 A jigsaw can make your life much easier if you have to deal with sawing wood, plastic, metal, gypsum board – it can do both straight and curved cuts. It can even cut ceramic tiles (if using a diamond saw blade). A jigsaw has its limitations in terms of power and operating time though. But, on the other hand, if you need to cut beams and thick boards day and night, you must buy not a jigsaw, but a stationary circular saw. By their design, jigsaws can be grouped into tools with a purely vertical movement of the saw blade and tools with an additional pendulum mode (also called the orbital mode). Jigsaws can be also grouped into tools with a cord (working from a power supply) and rechargeable (stand-alone). 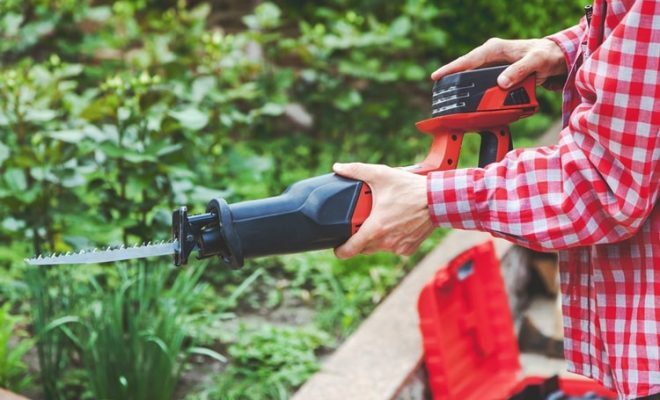 Thus, if you are considering purchasing this tool, in our jigsaw buying guide we will tell you about all the technical features, as well as about some points that are important to know when using a jigsaw. In the version with vertical saw movement, the rotation of the electric motor is converted by a gear reducer into simple reciprocating movements transmitted to the saw. This type of motion is traditional for all jigsaws. The jigsaw with the additional pendulum stroke has a little more complex mechanism. When moving upwards (when the material is being cut), the saw is also moved forward and when it goes down (idling), it is retracted. That is, the saw moves not along a vertical line, but an oval. For a pendulum stroke, a special pin is added to the mechanism described above, which swings the saw support roller. The roller pushes the saw forward and releases it back. In modern models of jigsaws, there is an option of step-by-step adjusting the pendulum mechanism motion rate. The swinging motion of the saw blade makes the cutting process much faster. Its main drawback is a rough, not too accurate cutting. Therefore, the pendulum mode is used mainly for rough cutting parts from wood, plywood, and particle board. Wherever quality and clean cut are important, the pendulum movement is switched off. Do not use pendulum mode with curved cutting! This may cause increased load on the jigsaw mechanism and overheating of the saw blade. Also, do not use a pendulum stroke when cutting metals. The main selection criterion is the tool power. It directly affects both the thickness of the material that this saw can cut and the sawing speed. Like all power tools, jigsaws can be domestic and professional. The power of domestic jigsaws is usually up from 350 watts and can reach up to 700 watts. The upper limit for most professional models is 1000 watts, but there are jigsaws with the power of 1500 watts. If you plan to intensively saw sheet metal or viscous wood, the jigsaw power should not be less than 700 W.
When choosing the right jigsaw model, we strongly recommend looking not only at its power but also the maximum depth of cutting. For comparison: the most powerful household jigsaws can saw a board of up to 2.7 inches thick, professional ones – up to 5.5 inches. Note: the higher the tool power, the bigger the weight. Be reasonable when buying a jigsaw of the right power for you. 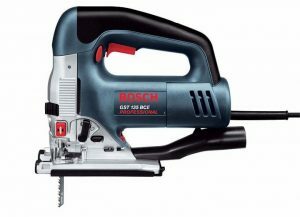 You may not need too large “power reserve”, while a heavy electric jigsaw will be definitely harder to handle. Only those masters for whom the issue of maximum tool performance is crucial can dismiss this fault. In this section of our jigsaw buying guide, we want to talk about stroke rate. A jigsaw must have an option of changing its stroke rate. We do not recommend buying a tool without this function. One-speed jigsaw can be used successfully only when sawing a tree (standard values are usually exactly for this material). The saw blade stroke rate in modern jigsaws is up to 3500 strokes per minute. For safety, the saw blade of many models can be closed during operation with a protective cover made of transparent plastic. The jigsaw stroke rate can be changed fixed or smoothly. The fixed stroke rate is set by a special switch located on the jigsaw casing. It remains unchanged during sawing. Smooth adjustment is made during sawing. The models with a “sensitive” start button (the harder you press, the faster the saw moves) can have this option. 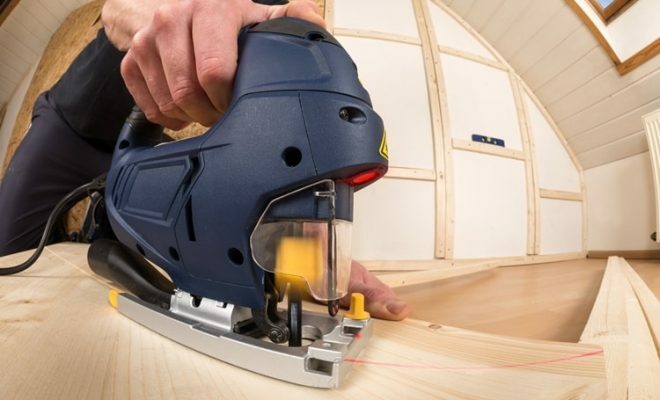 Active use of the “forced” mode speeds up not only sawing, but wear of the saw blade as well. The stroke rate is crucial for fast and clean sawing, while the best value for sawing different materials is completely different. Accordingly, the larger the adjustment range, the more materials a jigsaw can handle. extremely low – for ceramics. It is great if a jigsaw has a function of electronic control over the stroke rate. Do not forget that working at low speeds, the jigsaw engine is heated much faster and must have more “breaks”. Particular attention should be paid to the jigsaw sole plate (also called a base plate or platform). Firstly, it must be solid. It experiences a large load (especially when you strongly press the jigsaw against the work table while cutting solid or thick materials). If the sole plate is deformed or skewed, you can forget about the high accuracy of this jigsaw. Therefore, it is best if made of cast metal, not stamped or plastic. Secondly, the sole plate surface should be as smooth as possible not to scratch the material. As an option, a jigsaw package may include a plastic nozzle-casing, which can cover the sole plate working surface. Thirdly, it will be even greater if the sole plate has an option of installing a so-called “anti-slip” liner (it is very useful when cutting delicate and laminated materials). Jigsaw handles can be of two types: barrel grip and top handle. Top handles are most common among models produced today. They allow holding a jigsaw with one hand (you can fix the sawed material with the other hand. Gripping with a staple handle is very secure (especially if it is rubber); the hand on the jigsaw does not overlap the overview of the cutting line. 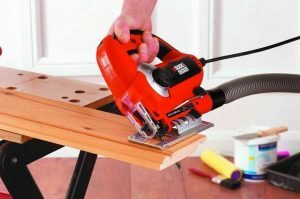 Considering all this, a jigsaw with a top handle is best for working both in an equipped workshop (on a workbench) and in home or “field” conditions (when there is no workbench). A barrel grip handle means that this jigsaw must be held with both hands: one is on the mushroom-shaped ledge on the top of the jigsaw, the second hand holds the saw body by the shank handle. Such jigsaw is firmly fixed in both hands. It is good for sawing materials on an inclined surface. The specific design of handles guarantees that an amateur does not stick the second hand under the saw blade (as both hands hold a jigsaw). 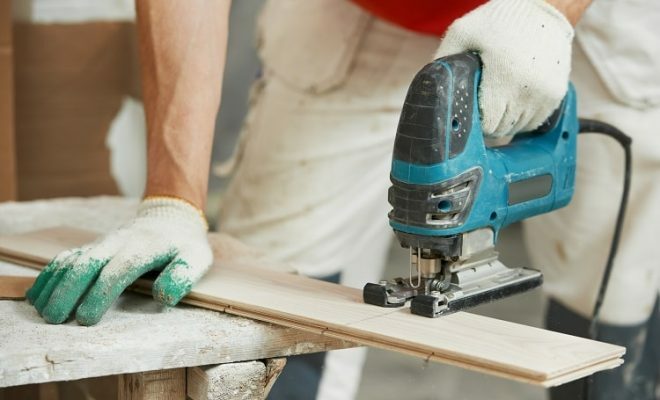 At the same time, the grip of a jigsaw with two hands supposes that the material is securely fastened to a workbench or table (you can not hold it with the second hand anymore). Therefore, the best place for using such jigsaw is a workshop. The saw blade is fixed in the jigsaw either with a traditional screwed block or with one of the modern fast-clamping fastening systems. Both methods have their advantages and drawbacks. The block is “omnivorous” – a blade of almost any thickness can be inserted, but in order to hold the saw without a skew, certain skills are required. The block is clamped with a tool such as a flat screwdriver or hexagon. The tool is not required for changing the saw in the quick-clamping chuck – everything is done “with bare hands”. 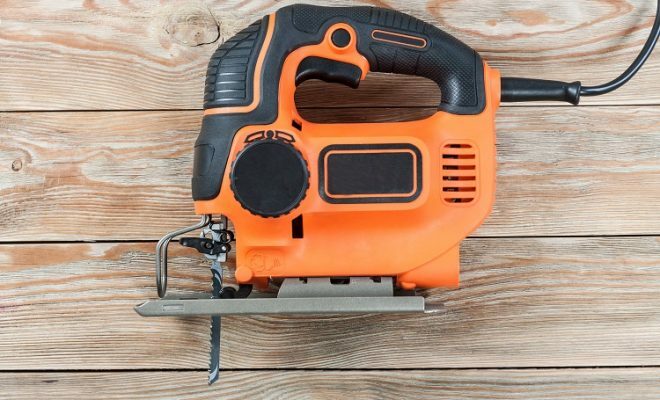 With it, you will forget what a twisted saw blade is, but you can insert a saw blade of only certain type and thickness (only the one it is made for). Note that the quick-clamping fastening system may have a slight longitudinal play of the saw blade, but this is not a purely negative thing. The most common saws today are ones with a cruciform shank. A short electric cord will significantly restrict your “freedom of movement” when using a jigsaw. The optimal cord length is 120-160 inches (purchasing an additional extension cable is much less reliable). You can also buy a battery fret jigsaw that will provide maximum autonomy. But you should remember that continuous running time of such models is strictly limited by the battery capacity (it is charged slowly by the way) and the power of such a tool is less than that of jigsaws connected to the electricity supply. 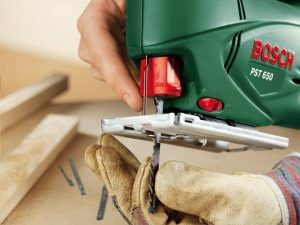 Cordless jigsaw can be an essential tool for working in hard-to-reach places, but it is better for sawing only relatively soft materials. The saw blade must be straight and sharp! Bent and blunt saws create unnecessary load on the engine, the material is excessively heated and can even burn or melt. The general rule: the cut accuracy depends directly on the size of the saw tooth. The bigger the tooth, the faster you can make a cut and the rougher it will be. The wider the blade, the easier it will do a straight cut (a wide saw blade “stabilizes” the saw in a section). BIM – a mixture of HCS and HSS used for making bimetallic blades with increased elasticity and service life. HM – solid steel, saw blades made from it are used for sawing ceramic tiles, fiberglass, non-thin (up to 10 cm) aerated concrete. DIA is a steel saw with diamond spraying for sawing porcelain and ceramics. Our jigsaw buying guide would not be complete if we did not talk about additional functions that can be added to this tool. The function of highlighting the cutting line is very useful. It is very important for curved cutting. 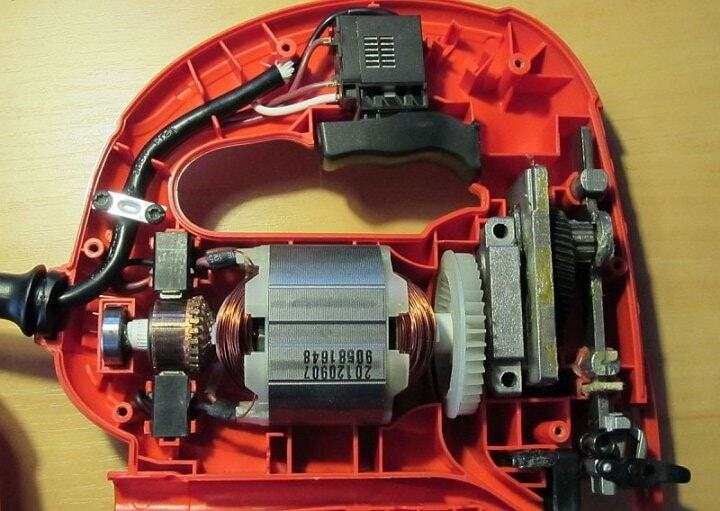 The light bulb mounted in the electric jigsaw perfectly lights up the surface of the material and the cutting line outlined on it. This not only improves the cutting quality (it is easier to stick to the cutting line) but also saves eyes from unnecessary pressure – the eyes do not get tired to see the accurate cutting line. 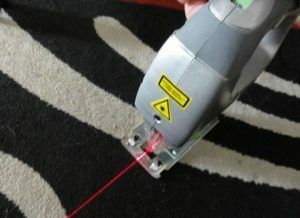 Laser pointer greatly increases the accuracy of sawing at home. The deviation error is minimized – the cut will go exactly along the line of the laser beam (of course, if the jigsaw blade is sharp and not bent). The function of cleaning the working surface makes the cutting process much easier. There are two types of it. The first type is when the jigsaw blows the sawdust from the cutting area (the boost function) on its own; in the second type, a vacuum cleaner is connected to the jigsaw through a special adapter (in this case, the sawdust comes into the filter bag inside the vacuum cleaner). It is best if the model has both options. A very useful additional function is a feature of rotating the jigsaw sole plate to a certain number of degrees (usually up to 45). But there is one important detail here: the sole plate must be tightly fixed at any position. If it “moves” at least 2-3 degrees away while sawing – you will get a skewed cut. The soft start function makes working with brittle materials very easy. The saw blade in some modern models of jigsaws can be turned to a certain angle (at this, the saw blade can be fixed with the teeth forward, backward and sideways). This function is useful when doing complex curved cuts.